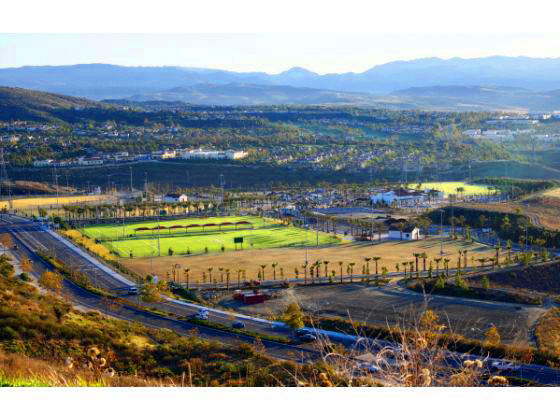 New San Clemente Sports Park set to open February 25th! Posted by Teresa Mihelic HelpDesk on Tuesday, February 21st, 2012 at 2:59pm. The highly anticipated opening of the new Sports Park in San Clemente, recently named Vista Hermosa Park, has been set to this coming February 25th. This new $33 million Sports Park had an earlier announced date that had to be reset due to delays completing an aquatics center and slower-than-expected maturing of the grass on baseball fields. The opening events are set for this Saturday February 25th from 8:30 a.m. to 12:30 p.m., including a ribbon cutting at 9 a.m. The park includes three baseball fields, two soccer fields, a multipurpose field, a football field and an aquatics center with a 50-meter competition pool and a 25-meter recreational pool. All the facilities are lighted for evening use. For our real estate matters, these are great news for residents or buyers looking for homes in Talega and surrounding areas like Rancho San Clemente, Marblehead and Forster Ranch, as this is a huge sports complex like no other in the area.